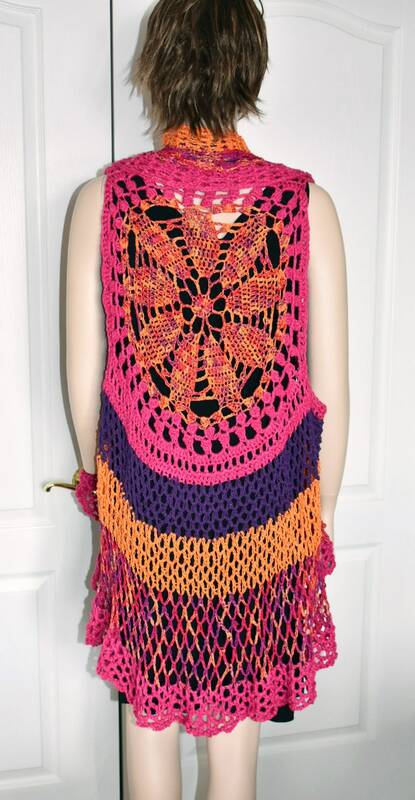 Imagine yourself twirling around at a music festival in this bright, colorful, festive vest! 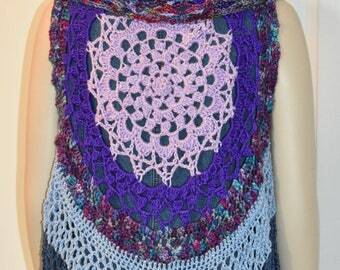 This mandala vest, hippie vest or circle vest in made in hot pink, purple and orange yarns. 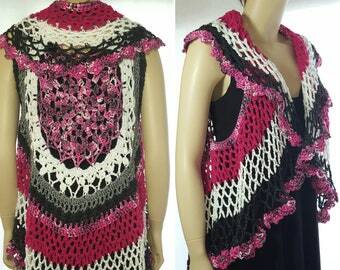 The vest is a misses / ladies / women's large size and will fit sizes 14 to 18. 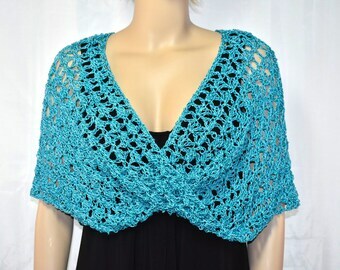 It has large arm holes so it will easily fit a variety of bust sizes. 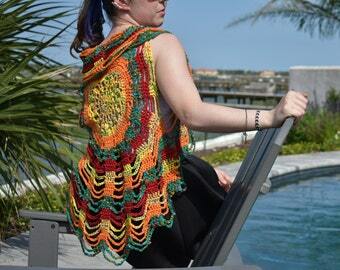 The vest measures 18 inches across the back between the armholes. The armholes are 15 inches tall. It measures 45 inches around. 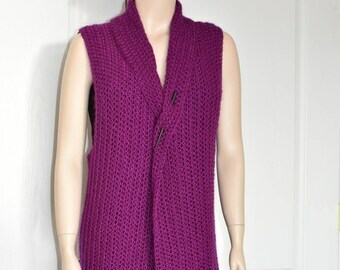 The vest is 38 inches long from the neck to the bottom edge and has an 8 inch shawl collar. 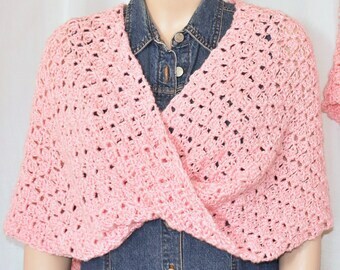 It can be wrapped and clipped in the front with a pin or shawl stick if desired. 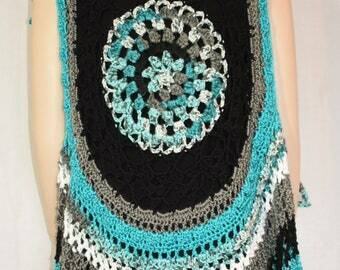 It's best to clean this vest in a dryer bag on low heat using Dryell or a similar product.